Download White Poster Frame Mockup PSD. If you are looking for mockup to present your Poster design, flyer design, Picture/Photo, graphic work in the unique way possible in order to catch people and client attention you can use this White Poster Frame Mockup. Whether you sell prints or just want to show your clients how their photos will look framed, you gonna love this Poster Frame Mockup. 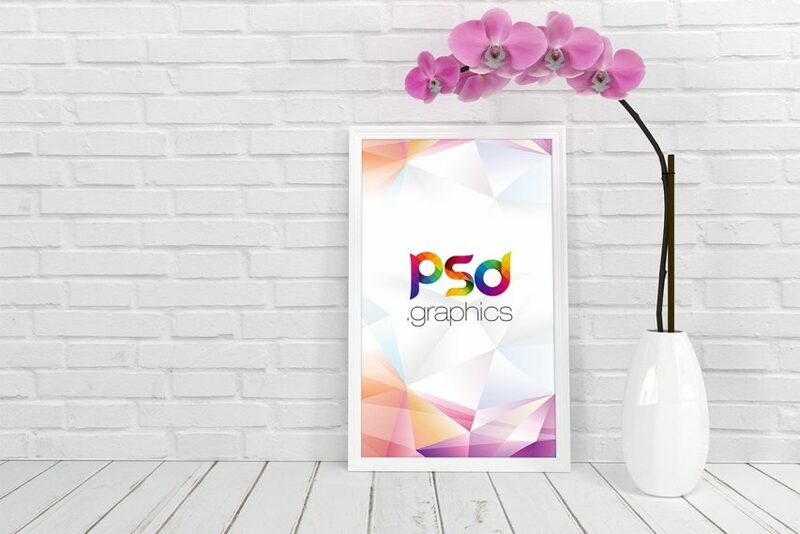 This Poster Frame Mockup is also best for any photographer, artist or graphic designer who wants to showcase their work in a realistic indoor environment. In this poster frame mockup template there are few other real still life objects around the frame to enhance the beauty of the scene. The Free Poster Mockup Template file contains perfectly placed smart-object layers which allow you to quickly add or replace your own artwork inside the wooden frame. If you like you can download and use this White Poster Frame Mockup Template freely. Anyway, hope you guys enjoy it and i hope this will help you benefit your project as well. Do not forget to Share if you found this helpful. All in all this White Frame Mockup has a modern and elegant look. This layered PSD resources comes with Easy & customizable PSD file arranged in groups and named perfectly which can save the time to create your own mockup. You can modify this Poster Frame Mockup However you are free to use this Free PSD in your personal and commercial projects. If you are using this file please give some credits to psd.graphics Hope you like it. Enjoy!